The key to maintaining a clean office is establishing a routine that covers all the bases and needs that a work facility requires. The first step is to consult with a professional office cleaning company. Choose one that has many years of experience and knowledge in the cleaning field will provide exceptional expertise and janitorial performance. One of the initial steps after a cleaning service is hired will be composing a schedule and list of specifications. This always varies due to aspects of a specific industry. Deciding on a schedule is determined by the size, frequency of visits, foot traffic, number of employees, and type of business. Doing a walk thru and taking a good look at what a commercial property’s specific needs are important protocols in creating customized janitorial specifications. Some buildings may require both day porter services and nightly cleaning; while others are smaller and only need cleaning done once or twice a week. General cleaning methods typically include trash removal, dusting, restroom cleaning, vacuuming, and floor care. 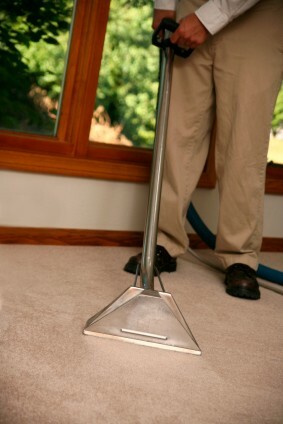 A professional cleaning company will perform these tasks according to schedule. The appearance of a facility can affect the reputation a company. A dirty facility will deter customers away while a clean one can be more inviting and also healthy and sanitized. The cleaner the building, the more positive perception a person will view your company. In additional to standard janitorial duties, companies offer carpet cleaning, stripping and waxing, hard floor care, upholstery cleaning, disinfection tools, odor removal, water damage cleanup, post construction cleaning, and much more. A great way to ensure a facility is being properly cared for is to include a scheduled carpet cleaning or any other special cleaning on a regular basis. Contact Apple Corps cleaning today to learn how we can provide the proper cleaning methods and techniques for the cleanest facilities. Our professional commercial cleaners have 35 years of experience in the cleaning industry. Call today for a free office cleaning quote 781-335-6900.